•	Purchase at least $50 worth of products directly from the Soccer Savings website and save on shipping completely. Free standard shipping to orders in the United States are available ones $50 have been spent, with express and overnight shipping options available as well. •	Promo codes, coupons, and special deals for email newsletter subscribers are sent out on a weekly basis. Daily deals and irregular or surprise sales events are also going to go out to email newsletter subscribers before they go out to anyone else. 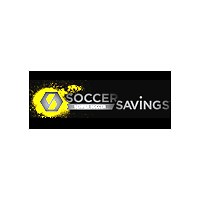 Sign up for this email newsletter free of charge right on the Soccer Savings homepage. •	Take advantage of special clearing house style sales and clearance style prices by visiting the SALE section of the website. As one of the most popular sports in the world, soccer is played by people ranging from Europe to North America. Soccer Savings is a store that has shoes, apparel, equipment, training gear, team clothes, youth soccer products, and more available through their online store. When you take a look at the featured products on their website you'll be able to find their best sellers. You can also see if there are any available promotions such as getting free shipping with a minimum order. All of the recently discounted merchandise that they have online will be displayed on the “Sale” page. For most up to date offers check out Soccer Savings on Facebook and Twitter or contact Soccer Savings Support for any questions.